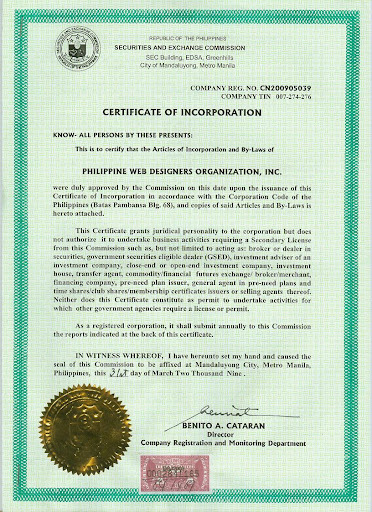 Philippine Web Designers Organization, Inc. 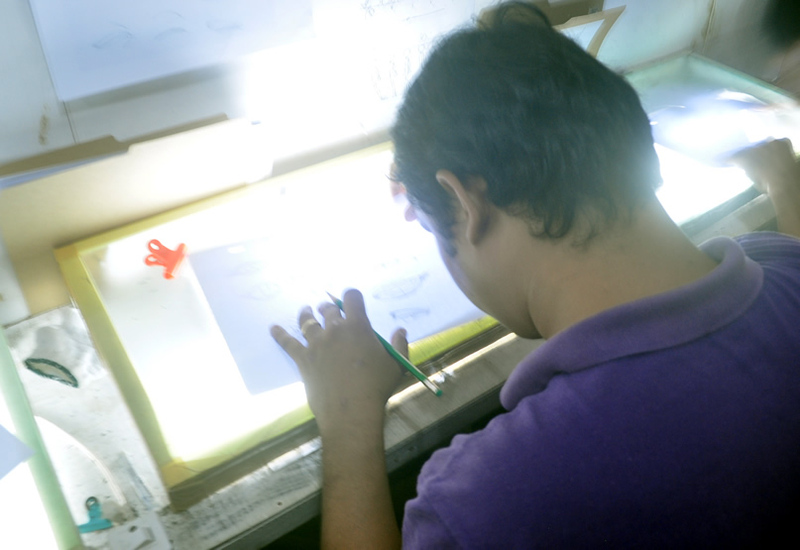 In the Philippines, there are thriving graphic arts groups. There are animators’ council. 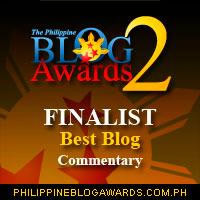 There are bloggers’ group which even rewards their bests. There are SEOs, WPs, SEMCONs, IMMAPs, PWAGs, what-have-yous. 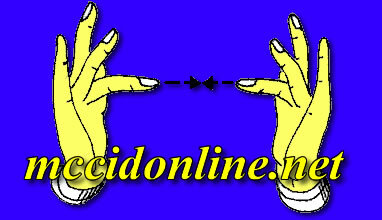 All of them revolve around the Internet and involve web designing. Then, why not form a group of web designers? The community is already there. All it takes is to band them together. Many said it wouldn’t be done. But guess what, we did it! The Philippine Web Designers Organization (PWDO) is now officially recognized by the Philippine government through the Securities and Exchange Commission. After my series of visits to the SEC office for the processing of the documents, I was able to get the certificate on April 13. It’s my own humble way of helping the group because I believe in their ideals and what they want to accomplish. We encouraged our own Philippine Web Accessibility Group to partner with PWDO. a group of professionals and hobbyists who create human interfaces for the Web, champion the use of standards, accessibility and usability, and aim to uplift the state of web design in the country. Special thanks to the Plurkers who floated this idea on the air. Congratulations to the PWDO officials Regnard Raquedan (President), Ia Lucero (Treasurer) and Mae Paulino (Secretary) for working their asses off to make this group a reality. What’s next? The Web Design Conference on July 10, 2009 at the Asian Institute of Management, Makati City. See you there! Bangor to Bobbio Since we are travellers and pilgrims in the world, let us ever ponder on the end of the road, that is of our life, for the end of our roadway is our home (St Columban, 8th sermon). Bionic Ear Blog Adventures of a person who is deaf. Filipino Sign Language and Me When silence speaks, she has much to say. Jonel Uy Join Sago and his travel and tour adventures. Phil-Sports Federation of the Deaf The Phil-Sports Federation of the Deaf or PSFD is the sports federation of the Filipino Deaf that caters different sports related activities in national and international levels. Children of Deaf Adults – Philippines This page aims to build a community for all the children of the Deaf adults in the Philippines. Life Haven, Inc. LIfehaven, Inc. is guided by the Independent Living Philosophy teaching and sharing this to others as part of our active participation in the Independent Living Movement. Pinoy T.E.R.P.S. Discussion about “experts” in sign language. House With No Steps Foundation House With No Steps Foundation, Inc.